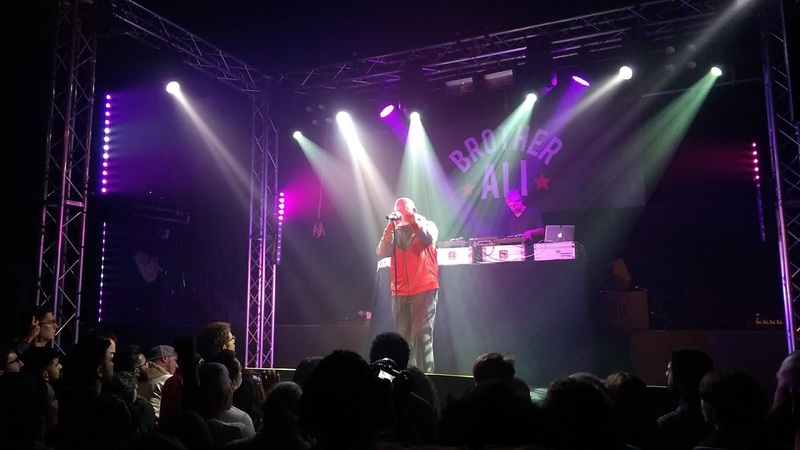 As part of his ‘Own Light’ tour, Brother Ali graced the intimate ‘Dome’ music venue in Tufnell park, for what was an uplifting and feel good gig, something you don’t always associate with Hip Hop artists. At just over an hour, Ali went through various tracks from his back catalogue, hits such as ‘Mourning in America’, ‘Uncle Sam Goddam’ and ‘Forest Whitiker’, as well as new cuts from the recently released album, ‘All the beauty in this whole life’. 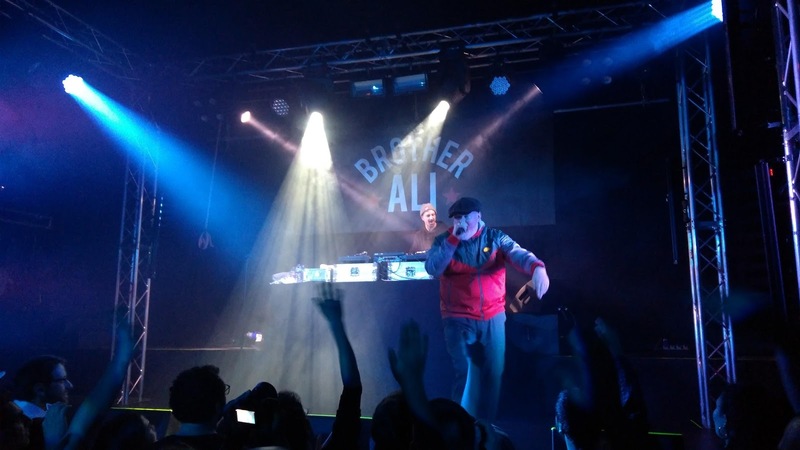 Ali addressed the engaged crowd frequently, with calls for love and acceptance, as well as jokingly mocking a particular audience member for the persistent use of a mobile phone, in what was an impressive off the dome freestyle. The crowd were putty in Ali’s hand at that point, and they hung on every word that the eloquent and highly intelligent rapper had to say. He was supported by DJ Lastword, who did a great job of warming the crowd up before the show, and also provided the musical platform for Brother Ali to perform. They were in unison, with well-timed breaks and track changes working seamlessly with Ali’s faultless delivery. All too often Hip Hop shows can be underwhelming, but I’m pleased to say that Brother Ali brought his A game. His delivery was impeccable, his energy palpable, and the message overwhelmingly positive. 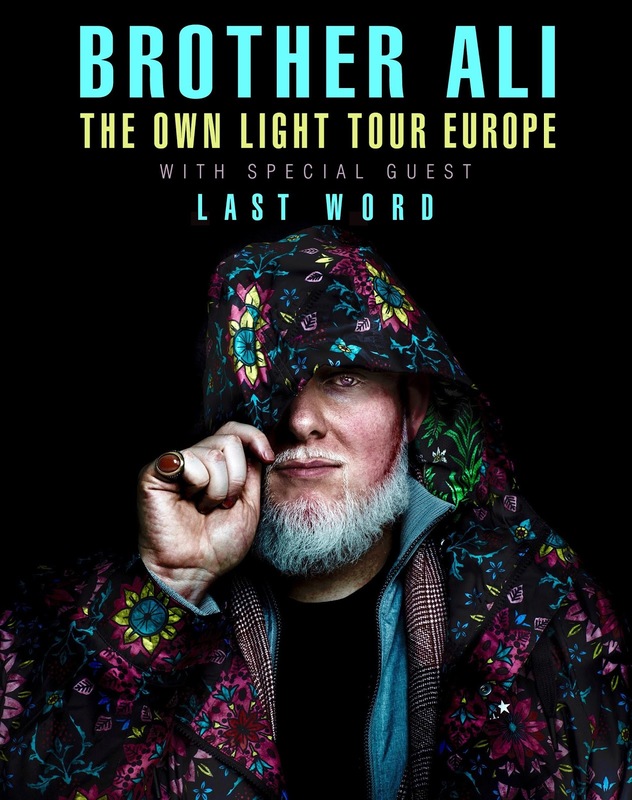 If you get the opportunity to catch Brother Ali live, I suggest you grab it.